Which are the best makeup brushes? It's not easy to answer that question within a bit more information about how you plan to use them. Both natural and synthetic fibers have their place in the makeup kit. Price is not always a good indicator of quality. I have had insanely expensive brushes that fell apart after a few washing and inexpensive brushes that performed beautifully for years. It all depends on how they’re made. and some may not stand up well to frequent use. If you're an animal lover, you should also pay close attention to what materials the bristles are made from. Please keep reading my post if you are interested! educated yourself by read this article before you buy.. Whether you choose natural or synthetic brushes, it is all about the bristles. To determine the quality of a makeup brush, you need to look at the bristles. 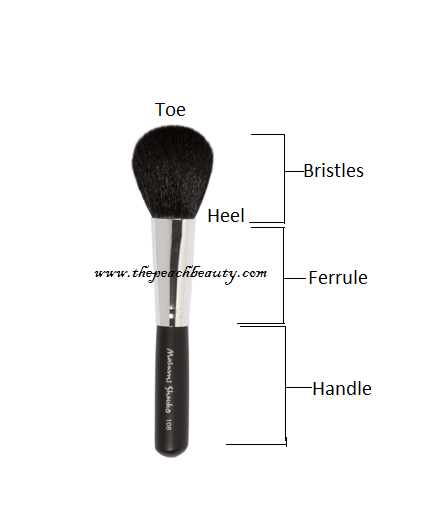 Makeup brushes contain three parts: the bristle, the ferrule, and the handle. The bristles will be made from either natural animal hair or synthetic fibers. which is the metal piece that attaches the bristles to the handle. This can be made of any number of materials (wood, metal, acrylic, etc.). 1. Bristles is not easy to falling out. and the best bristles are made of natural/animal hair. However, Whether they’re natural, synthetic or blended, the brush bristles should always feel soft and smooth. 2. Ferrule material is not dent or bend easily with finger pressure. and glue inside ferrule must be stick well to the bristles. 3. Handle made of plastic or wood, most important are: Get the feel by mimicking application on face/eyes. Length, hardness and diameter should feel right, provide the right amount of comfort and control for eye precision application or light face brushing. let us discuss together between these (Natural and Fiber) Bristles. we will find out about advantages and disadvantages for each bristles. 1. Natural Bristles: Natural makeup brushes include bristles made from the fur of various animals, including squirrels, goats, badgers, horses, minks or sable. (+) Advantages: perfectly for daily use and natural looks. good quality and better performance. softer brushes. better choice for a more natural finish to your makeup and easy to use, too, especially when you have a loose powder to apply. Natural brushes are a good option for eye shadows and blushes like this. (-) Disadvantages: for some people it caused allergic because made of Animal Hair. or people do not want to use them due to ethical concerns. and also it cost much, in other word is expensive. easily fragile and needs more intensive care. 2. Fiber Bristles: Synthetic bristles are man-made and are usually either nylon or polyester filaments. They can be created to increase their color-carrying ability by blending fibers. (+) Advantages: if you are allergic with natural bristles this is good option. fit for special event and dramatic looks. easily to clean, and no need intensive care (easier to keep clean than natural hair brushes because the filaments don't trap or absorb pigments, and they're better suited for layering powders or concealers since they hold up more solidly to makeup). long last makeup result. and also, affordable price. (-) Disadvantages: However, there is still no finest fiber bristles as good as natural bristles quality. in about, scales grab and hold onto powder and then release it when brushed against another surface. easiest way to find out is by the color instead of the texture. ask to the sales girl/ sales boy about the brush made of. if you trust nobody, the last option you have is google. 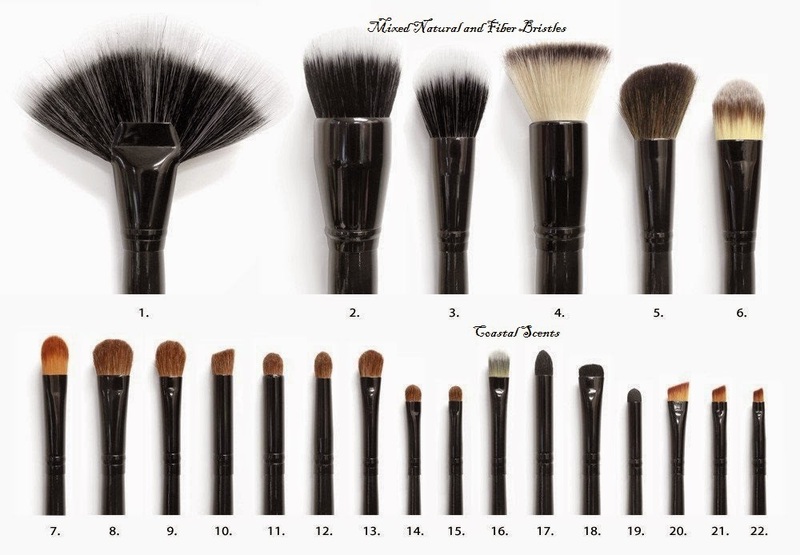 searching more information about the brush product you interested to buy. make sure the budget, needs, and quality of the brush it self is fit for you. 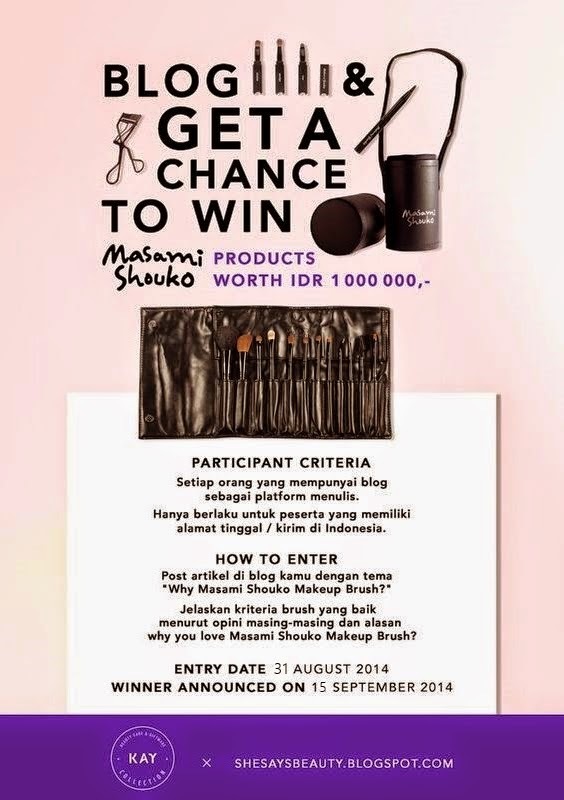 Why Masami Shouko Makeup Brush Collection? - High Definition: Natural bristles tend to hold color pigments better than synthetic offerings. - High Performance: Natural Bristles is create a softer, more natural look on your skin. - Good Quality Natural Hair: Natural brushes, whose bristles are made with various hairs from animals, are more expensive than fiber brushes. the condition the animals are kept in is often ideal and health. so you will got the best natural bristles. 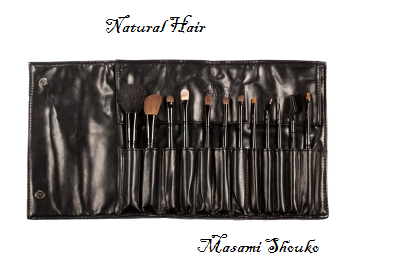 - Reasonable & Affordable Price: Masami Shouko is way much cheaper than other brand makeup brushes which is also serve and sell for Natural Bristles. and if you think Masami Shouko is the most expensive makeup brush set you got wrong! to be honest, the struggling amount of makeup brush choices is overwhelming. but still Quality is most essentials, brand is number second and the price tag is number third. Don’t be influenced by brand names, popular styles or prices (high or low). Use the information here to help make educated decisions. after you read this article hope it might help you to understand the reason why sometimes you need to cost a bit more expensive for makeup brushes. 1. What is the brush made of? because natural is cost higher than just a fiber. 2. Quality the brush made of? if it made of natural hair, once again it is performance better when you apply than fiber bristles. Masami Shouko is serve it all in one. offering us for the quality, affordable price and high performance for your makeup finish looks! whether you choose natural or fiber bristles it is essentials to clean them properly. The basic rule is any brush that is used daily should be cleaned weekly. Brushes used with creams or liquids will need to be cleaned more frequently than those used with powdered cosmetics. to see my previous post about "How to Clean Your Brush"
Writing Blog Competition open until 14th September 2014..
and the winner will be announcement on 15th September 2014..
good luck for everyone, don't forget to read the rules carefully..
1. What's camera do you use for blogging ? 2. What's your favourite movie or drama of all time? 3. What's your favourite song of all time? 4. What's three things you can't live without? 5. If you have a friend like Doraemon and he can helps you, what things do you want? 6. How do you get money to buy your stuff ? 7. If you luckily got 1 billion, what would you do? 8. What do you do when other people don't like you? 9. What's your biggest regret in your life? 10. If you about to die tomorrow, what would you do? 11. What is worse than death? heyyy yanna thank you so much for nominated me for this award. i will make it soon..
thank you <3 i feel so honor..
good post kaka :D detail bgt! haha wah kalau seandainya binatang bisa ngomong mungkin mereka juga akan protes seperti manusia. sayang aja mereka ga bisa ngomong..
maka dari itu makeup brush dari bulu binatang bagi sebagian orang masih menjadi pro dan contra..
untuk para-para kaum animal lovers tentu ini keliatannya tidak kepri manusiaan..
Harga sebuah kuas tidak cuma ditentukan dari kepala kuasnya saja.Sama seperti harga kosmetik pada umumnya,bisa jadi yg dibeli cuma sebuah merk yg mewakili gengsi dan sebuah "kelas"sosial.Pdhl isinya sama saja dgn kosmetik sejenis berharga lbh murah.Sejauh ini belum ada kuas yg dibuat dari bulu mammoth purba,ferrule dr rhodium,dan gagang dari kayu kapal Noah(nabi Nuh),jd sungguh naif jika menyimpulkan harga kuas bulu hewan lebih tinggi drpd bulu sintetis.Kuas bulu hewan didapat dgn cara primitif,yaitu menjebak binatang dan membunuh mereka utk diambil bulunya.Atau,diternakkan buat dibunuh dan diambil bulunya.Sedangkan kuas dr bulu sintetis dibuat berdasarkan riset mendalam berbiaya miliaran dollar,di laboratorium2 canggih dengan tenaga riset yg pandai.Dari sini saja sudah bisa dilihat,harga mana yg lebih mahal. Aku mengerti artikel ini dibuat untuk kontes blog,akan tetapi jika salah dipahami bisa berakibat fatal bagi kehidupan para binatang2 yg tidak berdosa,nyawanya hrs hilang hanya demi diambil bulunya buat para wanita yg rata2 pembosan dan tidak pernah puas akan produk.Nyawa binatang2 itu hrs hilang demi barang yg..mungkin 1 taun kemudian menghuni tempat sampah.Menurutku,sebuah kuas dan benda apapun tidak akan pernah sebanding dengan harga sebuah nyawa. comment mu sangat bagus dan kritis ya..
dan sepertinya kamu memang lebih tau banyak mengenai kualitas brush..
jujur saya belajar banyak dari kamu..
tapi ini saya hanya mau bilang saja, pilihan ada ditangan customer kan..
mungkin saya salah satu orang yang "manut" saja dalam menanggapi komen mu..
tapi buat orang2 yang sudah terlanjur cinta dengan koleksi2 berbau bulu binatang hanya akan menjadi angin lalu saja..
karena pilihan balik lagi ke individu itu sendiri..
i am just sharing what "i think is right". i am not forcing people to follow what i believe is right. kalau semua orang cara pandang berpikirnya seperti kamu semua, alangkah sangat indah dunia ini tanpa pro dan contra..
semoga dengan kamu komen disini, akan ada banyak orang baca komen mu dan sadar ya akan pentingnya menjaga kelangsungan hidup binatang..
Masih jaman penggunaan kertas? Coba deh mulai sekarang mulai membiasakan diri menggunakan Packaging Makanan Kertas untuk makan di resto ataupun tempat makan pinggir jalan. Selain itu jangan buang sampah sembarangan.